The Jurassic Park films have been thrilling audiences since the mid-90s. The Jurassic Park games, with a couple of exceptions, unfortunately have not. Fans of rampaging dinosaurs will be very pleased, then, to hear that the game accompanying 2015's addition to the series, Jurassic World, is in the very capable hands of veteran developer Traveller's Tales. That means, of course, that the stuff the game is made of is LEGO blocks. TT seems set to make up for the disappointments of the past, too. As well as the new film, LEGO Jurassic World also takes in Jurassic Park, The Lost World: Jurassic Park and Jurassic Park III, so fans won't be short on content. 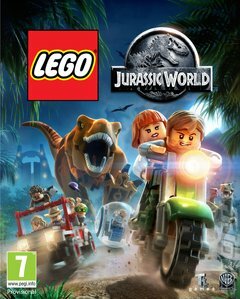 As fans of the LEGO games will expect, Jurassic World recreates the events of the films from LEGO, blending a mix of platforming, exploration, action and puzzle-solving. There are over 100 characters to make use of, each with their own special abilities. Laura Dern's character, for example, is the only character willing and able to dive headlong into a pile of dinosaur dung to find out what's wrong with a poorly triceratops. It's not just humans that are up for grabs, though. For the first time in a LEGO game, players can take on the role of a (LEGO) dinosaur! While the game certainly has a light, humorous touch that will make it a good fit for younger and older players alike, those wanting to dig a little deeper can explore to find pieces of amber, which contains scraps of dinosaur DNA that can be used to create and customise species. LEGO Jurassic World is a big release for fans of little plastic blocks and dinosaurs alike!